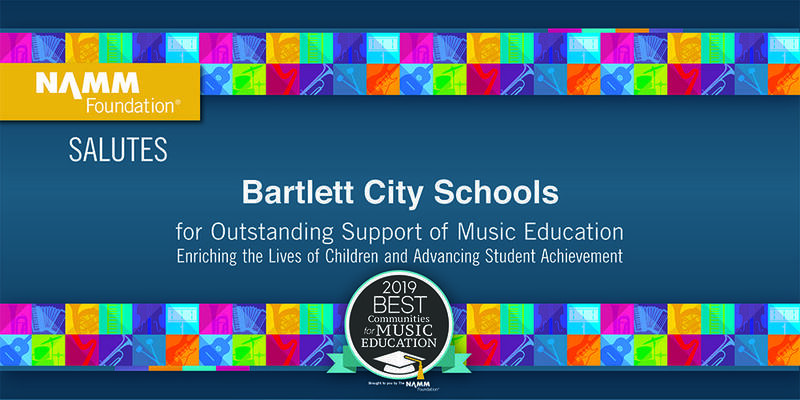 Bartlett City Schools has received a 2019 Best Communities for Music Education award by the National Association of Music Merchants (NAMM) Foundation. Now in its 20th year, the Best Communities for Music Education designation is awarded to districts that demonstrate outstanding achievement in efforts to provide music access and education to all students. 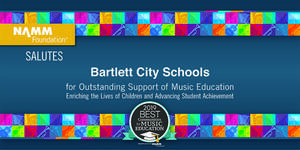 To qualify for the Best Communities designation, BCS answered detailed questions about funding, graduation requirements, music class participation, instruction time, facilities, support for the music programs, Responses were verified with school officials and reviewed by The Music Research Institute at the University of Kansas. This award recognizes that BCS is leading the way with learning opportunities as outlined in the Every Student Succeeds Act (ESSA). The legislation guides implementation in the states and replaces the No Child Left Behind Act which was often criticized for an overemphasis on testing-while leaving behind subjects such as music. ESSA recommends music and the arts as important elements of a well-rounded education for all children. This year, only ten TN school districts were selected. What a great accomplishment for our entire district! 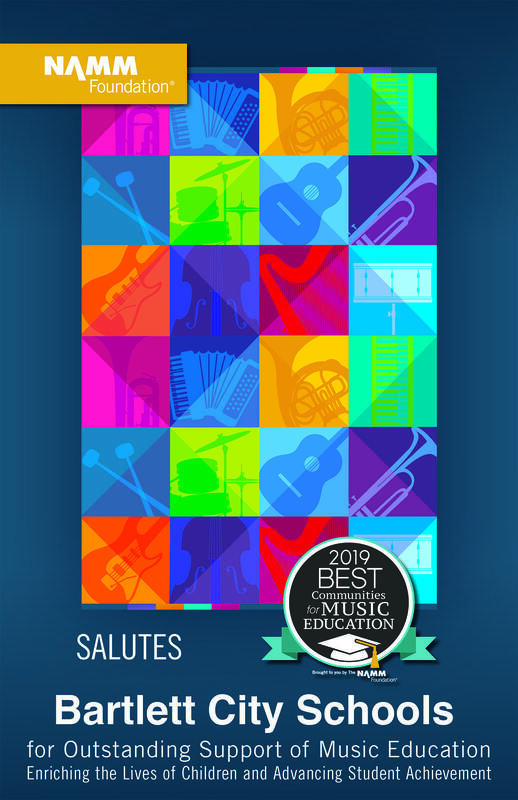 Click the link to read about the award in more detail.